in the Short Film Category for the Miami-Based Film, "30 Days." Check out the latest Interview w/ Host Sasha Marina on iaam.com! Urban Teen Magazine's Celebrity Interview with Sasha Marina! In this scene Sasha plays as a double for the leading actress in this dream sequence. 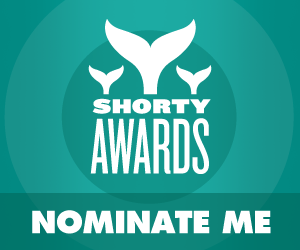 Nominate #SashaMarina for the @ShortyAwards! #SashaMarina featured as Latina Motivator on @LatinoLA! Click on the image below to read article or here --> "Upcoming Latina Motivator"